The Micro 3D Printer looked like one of our favorites for a compact and affordable solution that should be a great choice for a first 3D printer to get started, so we have ordered one and have been using it for some time. We are now ready to share some feedback based on our experience with the device and the reason why we have decided that we need to move on and continue our search for a better solution. When the M3D printer arrived we were surprised on how small actually is the device, yet it was fully functional and offered a decent size for printing parts. The printer also had some nice and interesting ideas implemented such as the auto calibration/leveling apparently based on an accelerometer in the print head. Or the ability to work with smaller filament spools that fit inside as well as with regular filament fed to the printer trough an external inlet. The fact that the M3D printer has a pretty affordable price of $349 USD and you can have it shipped internationally along with everything else definitely attracts user’s interest. The software of the printer has been in constant development and while it lacks some more advanced features it supports all the basic things you need along with some advanced controls available to users. Initially you did not have a choice of alternative software, but it seems that Simplify3D has added support for the device, though we no longer have the printer to test with that alternative 3D printing software that we like and use for quite some time already. So if you need more advanced software than the default one you might want to go to Simplify3D, it should have it all covered for more advanced users. What we did not like that much initially about the M3D printer is the fact that it uses a lot of custom parts that were initially not available as spare parts, such as the BuldTak build plate surface cover or spare parts for the extruder etc, though now some of these are being sold as spare parts. Regarding the usage of the device, it works pretty well, although a bit slow, but the thing that we were least happy with was the level of quality it produced. You can say that we are a bit biased about the level of quality and kind of expected too much, the resulting prints do look quite good, but if you have used a larger and more serious 3D printer already you might not be too happy from the results. If the M3D is your first 3D printer than you will probably be Ok with the level of quality you will be getting, though we have not seen that much improvement when going to the higher levels of detail. There are also some things that you need to get familiar with when using the device, such as the fact that it is designed to be used with rafts when 3D printing a model. It is a software specific, you can still print without a raft, but the base of your 3D printed model will not end up all nice and smooth. 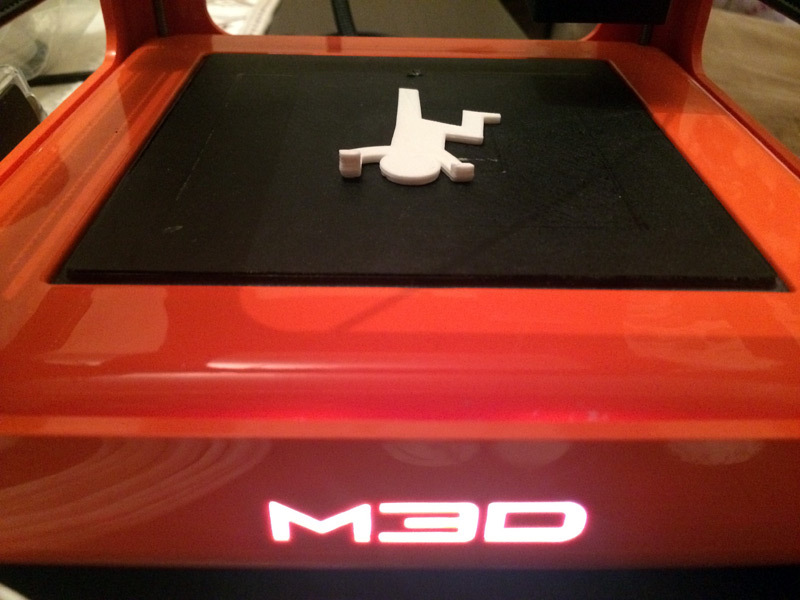 In short, the M3D printer is a decent choice for a first 3D printer to get you started, especially nice for kids that are interested in 3D printing, but it is just the first step. If you decide that you want to continue in the world of 3D printing after the first step that the M3D might provide you with, then you would probably quickly want to go for something more serious and get a larger and much better 3D printer. 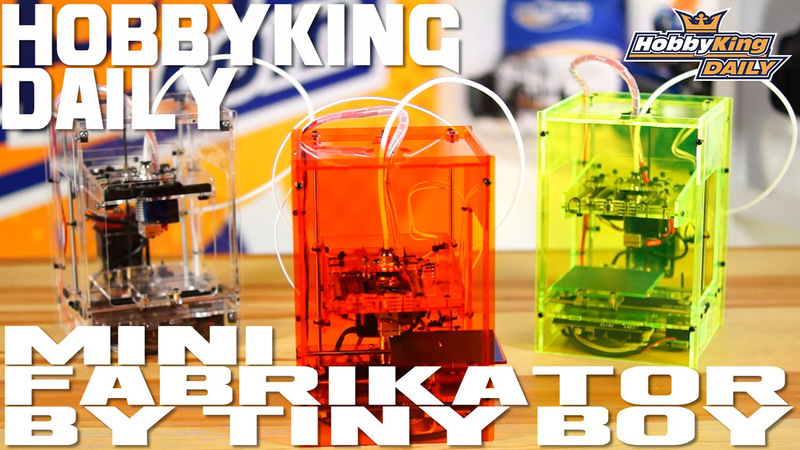 We already got rid of the Micro 3D printer after playing a bit with it and will continue our search for even better affordable solution that could be a great choice for getting started in the world of 3D printing. 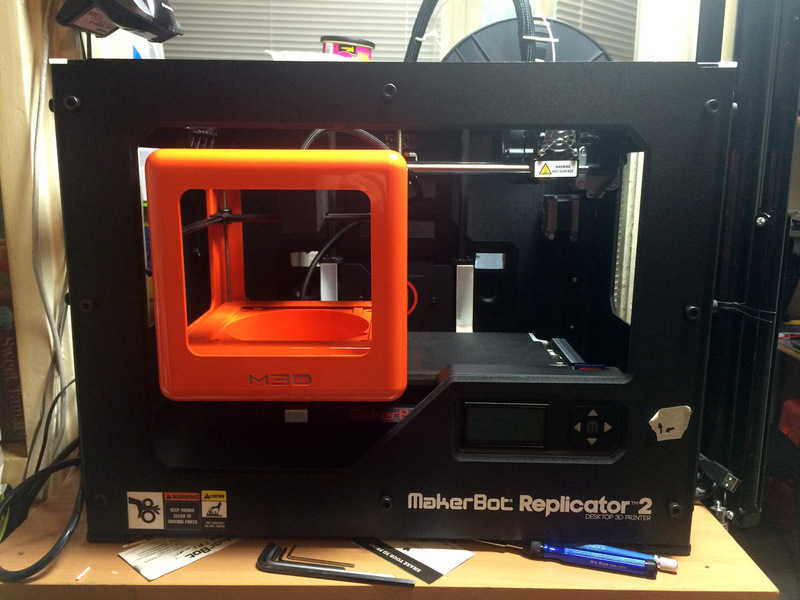 We have just got our M3D printer that we’ve introduced to you a while ago and on the photo above you can see a quick comparison between our MakerBot Replicator 2 and the M3D printer. The Micro 3D printer is surprisingly compact when you see it live, looks cleverly designed and we do hope that it will also work pretty well. Since now we have the device in our hands you can expect soon to have some first impressions using it as well as more details about it as the official website does lack some important things available to the general public. 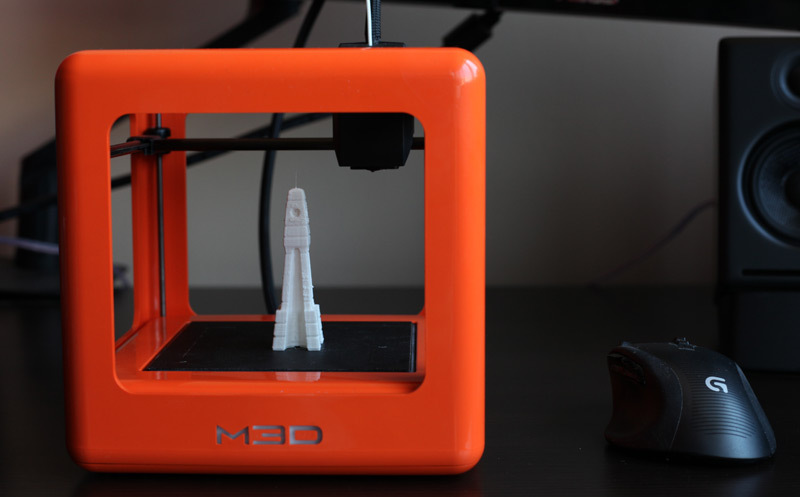 Our goal with getting the M3D printer is to see if it really is a good product that comes in the form of an affordable price wise and easy to use for people that are new to 3D printing. If it does well in these two things it may really turn out to be a good first step into 3D printing for people that are interested in the technology and want to give it a try without having to spend too much cash. It also seems like a good choice for a present for not so small kids that want to learn and get into 3D printing. So stay tuned for more as we are using the device as we’ll be sharing our findings.